‘We are a family business which initially started off in curtain making while stocking occasional furniture and gifts. We have now been able to expand into an amazing range of bridal wear’. The shop stocks over 1000 fabric samples which can be made up into curtains or cushions which are tailor made to meet your requirements. Opal are able to offer a service in which they can come to your home, take all your window measurements and advise of your best options to ensure that they provide the highest quality service and soft furnishings to you. 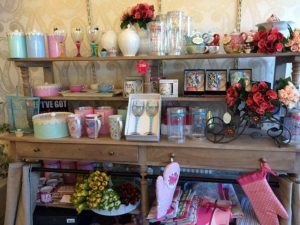 Opal also stock a range of beautifully designed occasional furniture and a large range of gifts and homeware including bath products, accessories and wall art. 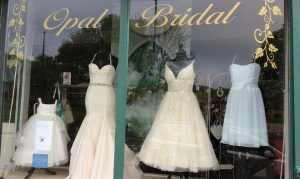 Bridal wear is a new strand to the business offering Alfred Angelo Private Bridal wear, Mooshki Bridal, Button Belle Bridesmaid dresses and Ivory and Co headwear. The latest in our range is the Alfred Angelo Disney Collection including fairytale bridal gowns, bridesmaid dreses and flower girl dresses.